2019 Mississippi Cyclocross Cup Series News! We are excited to announce the 2019 Mississippi Cyclocross Cup Series Dates! From the same group who brought you the Ridgeland Cyclocross Festival and facilitate the kids/juniors, Mississippi Cyclocross Project. We are making easy for you to register for our two weekend events; Spooky ‘Cross on October 26th & 27th and the Ridgeland Cyclocross Festival on November 16th & 17th. You will be able to register for both weekend, a total of 4 races (Sat & Sun) via one transaction and receive a nice discount for registering early! Details and registration available at www.bikereg.com/mscxcupseriespass. All kids races are FREE. Registration will open on July 1st and until Aug. 31st you will be able to register for $100 ($25 per race), this is a $40 discount. Register from Sep. 1st – Oct. 10th for $120, this is a $20 discount. 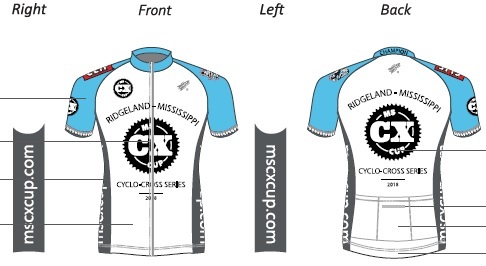 Mississippi Cyclocross Cup Series Gear: Pre-order only! All pre-ordered items will be available to the Spooky ‘Cross on October 26th & 27th. Pre-order sale will close on Saturday, Sep. 30th. Ridgeland Cyclocross Festival Flanders Limited Shirt. Limited Edition Mississippi Cyclocross Trucker Hat. All Kids/Juniors race for FREE as part of the scholarship program made possible by the Mississippi Cyclocross Project and ClifKids. 2019 Spooky ‘Cross. At our first stop of our series racers will be presented the weekend of Halloween. We will host a costume competition and some great racing for all levels and categories! Date: October 26th & 29th. Location: Mag Ridge BMX Track 338 NE Madison Dr, Ridgeland, MS 39157. 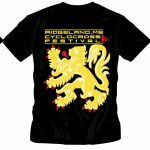 2019 Ridgeland Cyclocross Festival Benefiting the Mississippi Cyclocross Project. Our second and final stop for the 2019 Mississippi Cyclocross Cup Series will be a two-day event (Sat. & Sun.)! Date: November 16th & 17th. Race Flyer: View Race Flyer. Discount will not be available after October 24th. AWARDS: In 2019 we will work with our good friends at Rocket Science Sports and design a super cool champions jersey. It will be clean, classic and one you will want to frame, that is, if you are the CHAMPION! Champions Jerseys will be awarded in below categories. In addition, we will have a special award for those who place 2nd and 3rd in each category for series points. See mock up to the champions jersey! IMPORTANT: To qualify for the champions jersey, you must do at least 3 races in a same category within the two race weekends in the Mississippi Cyclocross Cup Series. Exciting News! For our 2019 events we had added a First Time Participant Category! No USA Cycling license required, 2 laps on the race to try out cyclocross. Participant must not have a license or be a cat 5 in cyclocross (you are a category 5 in cyclocross if you’ve never done a cyclocross). Share with your friends! Help us grow our sport! NEW! We have added the Masters Women 40+ 1/2/3 to our categories! Women 40+ 1/2/3 will race together with the Women Open Category for the same purse, however point’s scores will be separate for the Mississippi Cyclocross Cup Series. Call-ups: Call-ups will be based on USAC Ranking. All Junior/Kids race categories are free, however all racers (excluding kids under the age of 6 must have a USA Cycling racing license or day license. We will have all forms available at our event. Second $15. If minimum field size of 15 isn’t met, the promoter may adjust races/prizes. All USAC rules apply. One day licenses are $10. Call ups are based on the USAC rankings for pre-registered riders only. Face Painters for all kids… & some adults! For both weekends we will have the face painters on Saturday for kids between 10:30 am-12:30pm. Bring the Family! Food Truck Vendor will be available onsite. More details coming soon! Prize Purse List: We will have equal purse for both men & women in the P/12/3 Category! We will also have great swag prizes courtesy of our fantastic sponsors. Bring the Family! Get your holiday shopping at all the attractions at the great city of Ridgeland has to offer. More details at www.visitridgeland.com/attractions. Where to stay & What to do: Learn more about where to stay, places to go and things to do in Ridgeland, MS at the Ridgeland Visitors Center website at www.visitridgeland.com. *Race together, Mississippi Cyclocross Cup Series point’s scores will be separate. ** All Kid ‘Cross (9 and under) Race Participants must have a USA Cycling License or a 1 day License.